Canoe Ridge Estate Vineyard is in the southern Horse Heaven Hills of Washington. Grape growers will meet at their annual convention in February. As the Washington wine industry continues to grow, so too does the occupation of grape growing. The annual convention of the Washington Association of Wine Grape Growers (WAWGG, pronounced “wag”) is Feb. 5-8. It’s at the Three Rivers Convention Center in Kennewick – in the heart of Washington wine country. The trade show, which is held in the adjacent Toyota Center (the home rink for the Western Hockey League’s Tri-City Americans) already is sold out, and producers of winemaking and grape-growing machinery and gadgets are lining up in the hopes that a few vendors will drop out and make room for them. I first went to a WAWGG convention in 1999, and it was attended by a couple hundred folks. In 2013, more than 2,500 will attend, a testament to the growth of the Washington wine industry. They will go to seminars (in English and Spanish), learn new techniques and get updates on things that can go wrong in their vineyards. For the past three years, growers and winemakers have been commiserating about the difficult 2009, 2010 and 2011 growing seasons. But February’s convention should be more upbeat, considering the expected record harvest from the picture-perfect 2012 vintage. And with Washington vineyards exploding past 40,000 acres in the past few years, more and more growers are interested in learning from industry veterans. Curiously, the WAWGG convention now attracts grape growers and winemakers from well outside of Washington. Winemakers from Kettle Valley Winery in Naramata, British Columbia, have been attending for years, as have representatives from Idaho and Oregon. Even the occasional Californian will show up. Some 15 years ago, the convention was small enough to be held at the Red Lion Hotel in Pasco, with one ballroom for seminars and another for the trade show (which spilled into the parking lot). As it grew, there was no room in the Tri-Cities for it, so WAWGG packed up and moved to Yakima for a few years, which had more convention space. 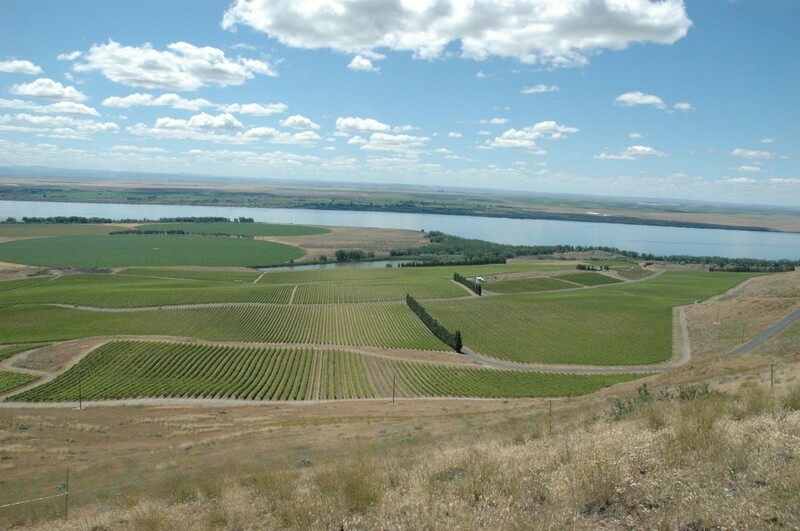 Eventually, the grape growers outgrew the Yakima Convention Center and, after the Three Rivers Convention Center was built in 2004, WAWGG returned to the Tri-Cities, much to the delight of growers who didn’t want to travel to Yakima. Now, the convention has basically outgrown the 75,000-square-foot Three Rivers facility. In fact, the Tri-Cities missed out on $14 million in revenue in 2011 because the convention center isn’t big enough, according to an article in the Tri-City Herald. The city is looking to add 60,000 square feet and a nearby 200-room hotel to accommodate those who want to come to Eastern Washington for conventions. This would please the grape growers, who have little interest in moving their annual meeting to Spokane or Seattle. Those interested in attending WAWGG should act before Jan. 20, when prices go up. Right now, registration for members is $125, which includes meals (it goes up to $225 after Jan. 20). For nonmembers, it’s $400 (and goes up to $500). Educators will get in for $75, and students will be able to attend for $50. Some events can be purchases separately. Find out more here.